What Is SleepWeaver Anew Full Face CPAP Mask? Who Should Buy SleepWeaver Anew Full Face CPAP Mask? If you know the pain that sleep apnea can bring, you also know how important it is to find some sort of solution for this sleep problem. Fortunately, there are many ways to treat sleep apnea, with CPAP machines being one of the most popular and effective methods. CPAP machines – and the masks that go with them – have been developed over the years in order to become the solution to all of your sleep-related issues. Today, we are going to talk about SleepWeaver Anew Full Face CPAP Mask. In our honest SleepWeaver Anew Full Face CPAP Mask review, you will learn how this full face CPAP mask works, what it does well, and what customers think about the product. With the following information at your side, you should be able to make an informed decision on which way to go with your next CPAP mask purchase. SleepWeaver Anew Full Face CPAP Mask is a mask worn by people who suffer from sleep apnea in order to help control the triggers of the disorder. It works in a similar way to all other full face CPAP masks. You use your CPAP mask together with your CPAP machine, which blows pressurized air in order to keep your airways open while you sleep. When your airways are open, you are less likely to suffer the symptoms of sleep apnea, including snoring and paused breathing. When you sleep, your body and your muscles all go into relaxation mode. During this period, people with sleep apnea have moments where their throat closes up, which can result in stopped breathing. This is known as obstructive sleep apnea. 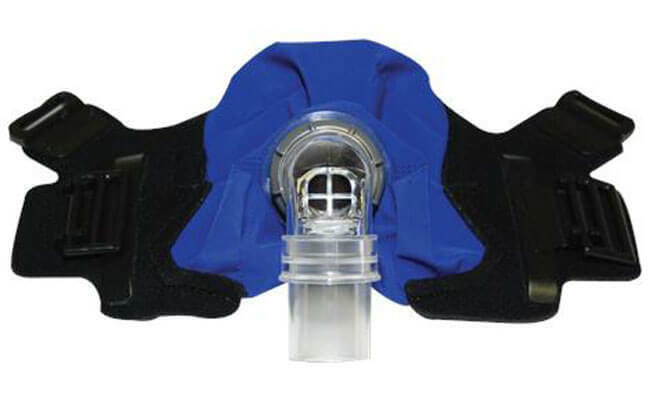 With SleepWeaver Anew Full Face CPAP Mask, users wear the mask over their face while pressure is pumped into their airways. This prevents the airways from collapsing and allows the wearer to sleep peacefully. SleepWeaver Anew Full Face CPAP Mask is flexible and easy to wear. Developed as a customized solution, it comes in three different sizes, including the small, regular, and large mask. What’s more, there is also a fitting guide that comes with the packaging of your face mask. In order to ensure that you have a proper fit, follow the step by step process detailed in your user instructions. These instructions will walk you through measuring the bridge of your nose as well as the width of your chin in order to set the size correctly. After taking these measurements, you can match them up with the corresponding small, regular, and large options. Made out of sturdy materials and a non-allergenic fabric, SleepWeaver Anew Full Face CPAP Mask is incredibly easy to keep for long periods of time. With that being said, you need to get into the habit of routinely cleaning your mask. Use non-abrasive detergent in cold or warm water to wash the product. After washing, allow it to hang-dry until your next use. You should additionally always be on the lookout for potential wear and tear defects on your mask. If you notice any discoloration or rips over time, consider having the product repaired or replaced. This mask was designed with flexibility in mind. The cloth fabric of SleepWeaver Anew Full Face CPAP Mask means that you’ll never have to worry about feeling bulky while you move around. 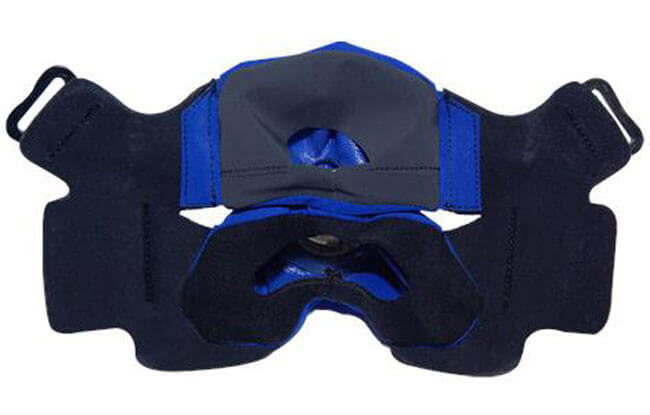 This mask is ideal for people who need a comfortable mask, like to sleep on their stomach or want flexibility while moving around. With a stunning design and innovative materials, SleepWeaver Anew Full Face CPAP Mask has scored high marks. Our SleepWeaver Anew Full Face CPAP Mask review is glowing and it mirrors common thoughts from customers around the world. Here’s what customers had to say about SleepWeaver Anew Full Face CPAP Mask. Compliments – Users of this mask loved how easy it was to wear. Customers also praised the breathable fabric material with moisture-wicking abilities. Most of all, customers were happy with how tight the seal was for the mask and how effectively it put an end to their sleep apnea problems. Complaints – Some users didn’t like the blue and black design. Other users felt like they had trouble with the sizing guide, despite it being relatively straightforward. Finally, the price for SleepWeaver Anew Full Face CPAP Mask was higher than for similar options on the market. Many masks for sleep apnea are impossible to return thanks to the nature of the product. Fortunately, the manufacturers at Circadiance are much more flexible. If you purchase your SleepWeaver Anew Full Face CPAP Mask through a reseller or home care provider, you can return it to them within 30 days for a credit. 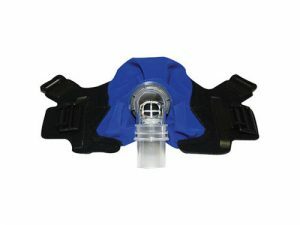 SleepWeaver Anew Full Face CPAP Mask comes in three different sizes (S, R, L) and all of them cost the same: $115.95. If you are still unsure if SleepWeaver Anew Full Face CPAP Mask is right for you, check out the key advantages and flaws of this snoring aid. The manufacturers at Circadiance put a lot of effort into developing SleepWeaver Anew Full Face CPAP Mask. This mask allows users to fight their sleep apnea while still maintaining comfort in their own bed. Though pricey, we admire this mask for being able to live up to the various big promises listed on the manufacturer’s website. Our SleepWeaver Anew Full Face CPAP Mask review ends with a favorable suggestion to anyone looking for a comfortable way to combat their sleep apnea. Our ratings are the result of an objective and independent evaluation of SleepWeaver Anew Full Face CPAP Mask, generating the final rating that reflects the overall quality of the company. Ratings may change as the product introduces changes. SleepWeaver Anew Full Face CPAP Mask user rating based on 6 user reviews. The mask is great but the head strap became to flexy after about eight months of constant use. You can buy replacements though, so it's not such a big problem. I gave around 20 bucks for a new regular headgear. It's so lightweight and comfortable I can't believe I didn't find it before. It's also very easy to clean and maintain in order to make sure there are no buildups of bacteria and other allergens. It also doesn't leave any imprints on my face since it's not made of rubber or plastic. Anew is just a breeze to put on or take off. It has these two little snaps that just click and you can take it off. On top of that, it's really great for restless sleeper is like me. I tend to twist and turn all throughout the night which was a major problem with my previous masks. The little swivel connector on the front can bend like you wouldn't believe and follow my motion during the night without the mask coming off. Watching TV before I fall asleep was the first thing taken away by my sleep apnea. This mask is leaps and bounds away from anything I've used in the past. It's entirely made of fabric, so it's soft and comfortable and leaves the most of my head and face completely free and unrestricted. I can even wear my glasses would it and read or watch TV before sleep. Sleepweaver mask finally allowed me to have a good night's sleep and spite of my devastating allergies. It's entirely made of some kind of fabric that's very smooth and gentle to my face, which prevents my allergies from acting up. I also like that it comes in multiple sizes, so I could pick one that matches the size of my head and ensure the perfect fit. We found 0 verified SleepWeaver Anew Full Face CPAP Mask discounts for April, 2019. There are no SleepWeaver Anew Full Face CPAP Mask coupons or discounts right now.